In March 2015, the applicant was arrested by police whilst on his way to the market where he works as a street vendor. He was charged with the offence of being a rogue and vagabond. Section 184(1)(c) of the Penal Code provides that “every person in or upon or near any premises or in any road or highway or any place adjacent thereto or in any public place at such time and under such circumstances as to lead to the conclusion that such person is there for an illegal or disorderly purpose, is deemed a rogue and vagabond.” The offence of being a rogue and vagabond exists in the same wording in the Penal Codes of many African countries and dates back to the era when these countries were subjected to British colonial rule, including Nigeria, Gambia, Zambia, Uganda, Botswana, Seychelles, and Tanzania. The criminal case was stayed pending a constitutional petition in the Blantyre High Court challenging the constitutionality of the offence. The applicant argued that section 184(1)(c) of the Penal code violates the right to dignity; the right to be free from inhumane and degrading treatment; the right to freedom and security of person; the the right to equal protection and freedom from discrimination; the right to privacy; and the right to freedom of movement. The applicant further submitted that the arbitrary and discriminatory enforcement of section 184(1)(c) and the section’s inherent reversal of the presumption of innocence, is contrary to international human rights law and the above-mentioned constitutional rights. The matter was certified by the Chief Justice as a constitutional matter in June 2015. 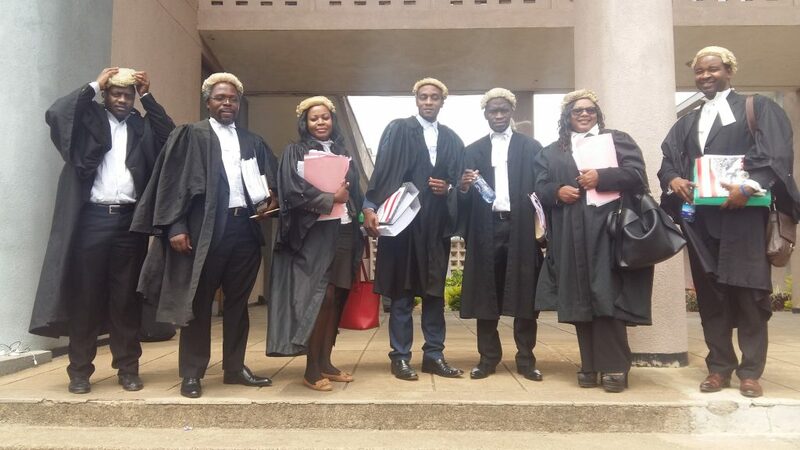 The Legal Aid Bureau, Centre for Human Rights Education, Advice and Assistance (CHREAA), Paralegal Advisory Services Institute (PASI) and Malawi Law Society were admitted as amicus curiae. PASI submitted that the offence also violates the right of access to justice, and the rights of arrested persons. CHREAA submitted that the alleged objective of the offence, to prevent crime, is without an evidential basis and that the continued application of the offence in a manner that violates human rights is not proportional to its objective. On 1 September 2016, the Court heard arguments on the preliminary issues raised by the State. On 4 October 2016 the judge gave a ruling rejecting the procedural objections raised by the State and proceeded to hear the substantive arguments of the parties and amici curiae. Judgment was delivered on 10 January 2017 declaring the offence unconstitutional and invalid. The main judgment was delivered by Justice Mtambo with concurring judgments by Justice Kalembera and Justice Ntaba. A summary of the judgment is available here.